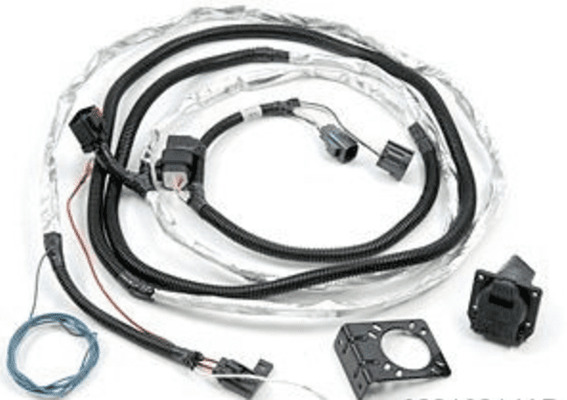 Make sure you're visible and street legal by getting a reliable trailer wiring harness for your Jeep Wrangler. This Mopar 82210214AB is custom-fit to Chrysler wiring specifications, so there's no need for wire splicing. 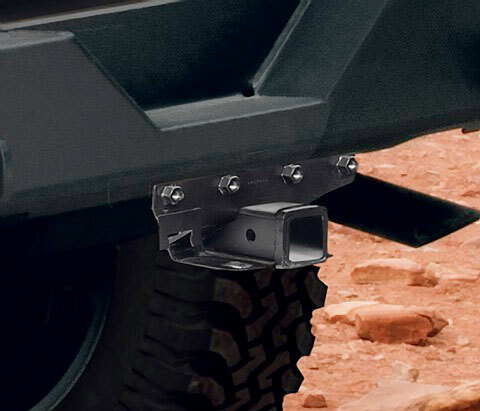 These weather-safe wires have high-quality connectors that plug directly into your Jeep's wiring, making them easy to attach and detach as necessary. Why take risks with other wiring harnesses when you don't have to? Trailer Tow Wire Harness Kit, with 7-way round trailer connector OR 4-way flat trailer connector, plugs directly into the vehicle wiring, no splicing required. Although i thought this harness was a bit expensive, once you start your install you will discover the the cost is well worth the convenience of plug and play and elimination of guess work. I paired this with a Curt Triflex and couldnt be happier. Fit perfect and does what it's supposed to. This harness made the conversion from the standard flat four connector to the seven blade connector easy. the harness even has a heat shield where needed.